You can now pay your bill securely online by logging into your PATIENT PORTAL account. Your last statement will show on the portal. There is an option at the bottom of the screen to pay the outstanding balance online. Please be sure to note the date of the last statement and make sure that the balance is still outstanding before you pay it on line. 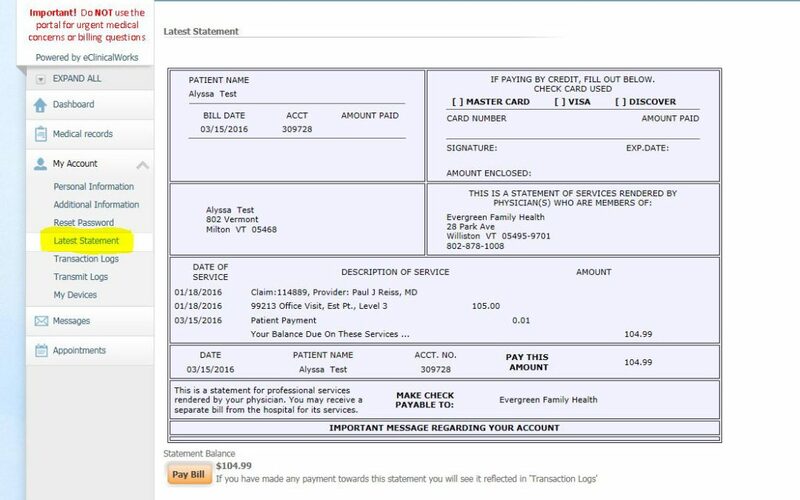 Any payments that you made after the date of the last statement will not be reflected in the balance due on your patient portal.